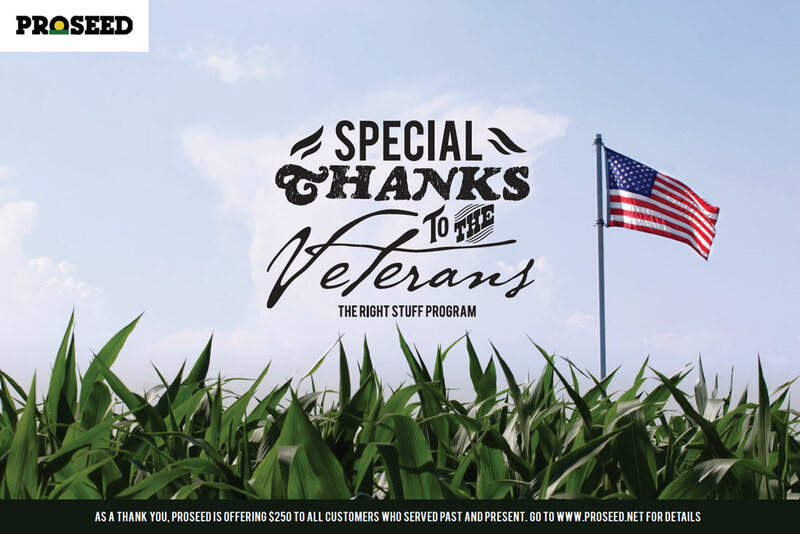 Proseed's RIGHT STUFF program salutes our appreciation for military service to our country for those involved in production agriculture. Too often we take that service, commitment and sacrifice for granted. We live in a safe and prosperous country because of our military. Right Choice, Right Stuff. Protecting America’s freedom both at home and abroad. Check on this website or your local dealer for details. If you need Seed think Proseed. Rewarded after final returns and GPOS reconciliation.